The new digital exhibition Writing in Company: Forms of Collaboration in Artistic Works and Scientific Knowledge 1700-1914 features 52 carefully selected page openings from across the McGill University library rare and special collections and aims to demonstrate the essentially collaborative nature of printed works. It calls into question the commonly perceived equation, “one work = one author.” Forms of collaborative practices are expressed in stage performance scripts, musical score interpretations, the serialized novel, and even in institutional protocols for collective expeditionary works. The physical exhibition was originally on display from April to August 2014 in the lobby of McGill’s Rare Books and Special Collections. It was curated by graduate students Stéphanie Favreau (UQAM) and Adina Ruiu (Université de Montréal), and made possible by the collaboration between Interacting with Print and Rare Books and Special Collections of the McGill Library. This project afforded the opportunity to digitize about 12 items in full and add them to our library catalogue, bringing to light items from the Pauline Donalda Collection, consisting of a donation of music scores and related printed works, which this McGill trained singer offered to McGill University in the 1940s. To see and download the full version of each item you can click on the images to go to the record in our catalogue. 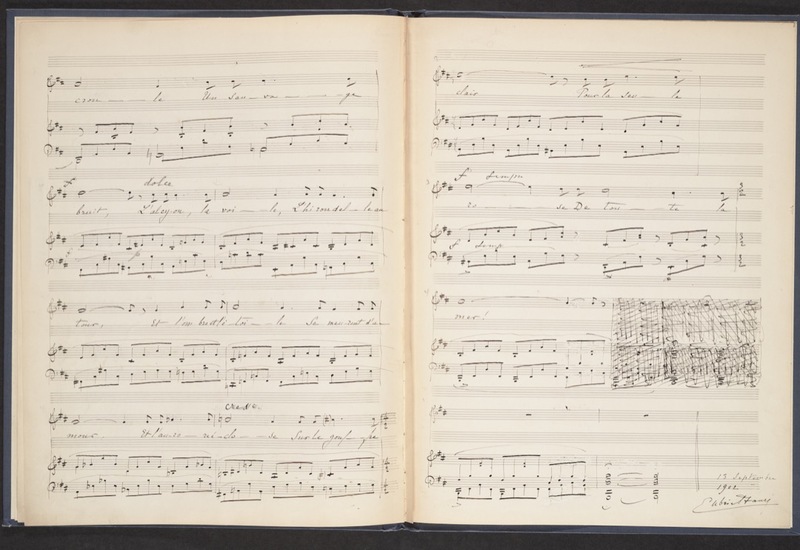 Last two pages of the manuscript music score with Gabriel Fauré’s autograph signature, 13 septembre 1902. Fauré, Gabriel, 1845-1924, composer. La fleur qui va sur l’eau : op. 85, no. 2 / Gabriel Fauré ; [poésie de] Catulle Mendès. 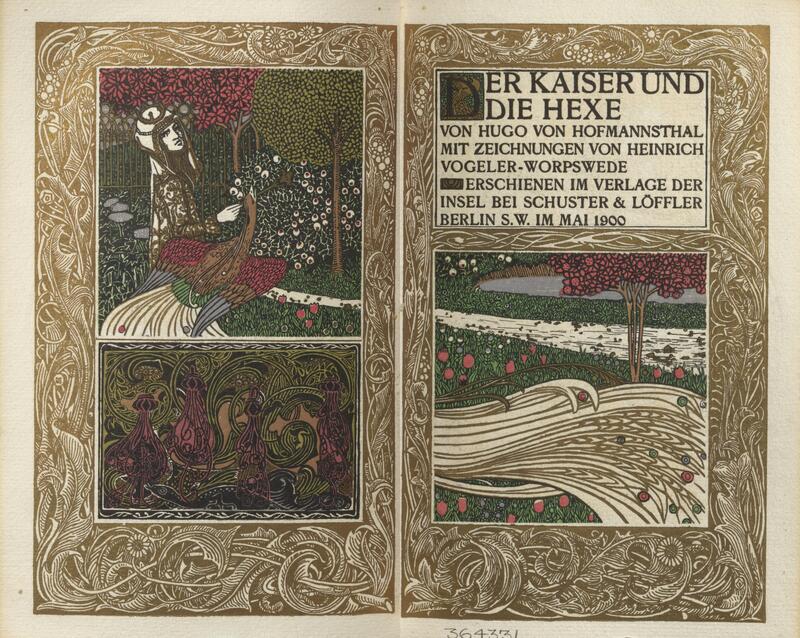 Der Kaiser und die Hexe, title within decorative border and engraved frontispiece. Hofmannsthal, Hugo von, 1874-1929. Der Kaiser und die Hexe / von Hugo von Hofmannsthal; mit Zeichnungen von Heinrich Vogeler. Berlin : Verlag der Insel bei Schuster & Löffler, 1900. Le sphinx, music score “14e tableau. 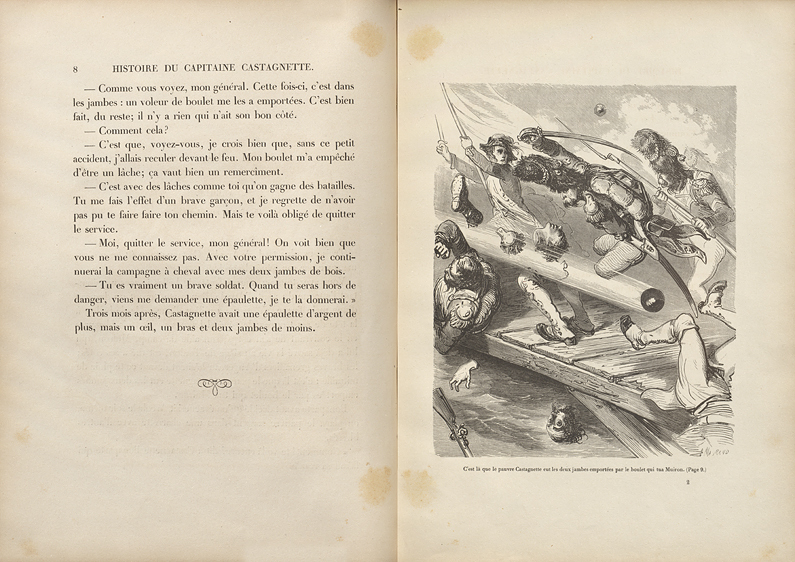 Napoléon”, and lithograph on opposite page. At the height of her career, Yvette Guilbert becomes an author, telling her life story and writing about the pedagogy of singing and of the stage. 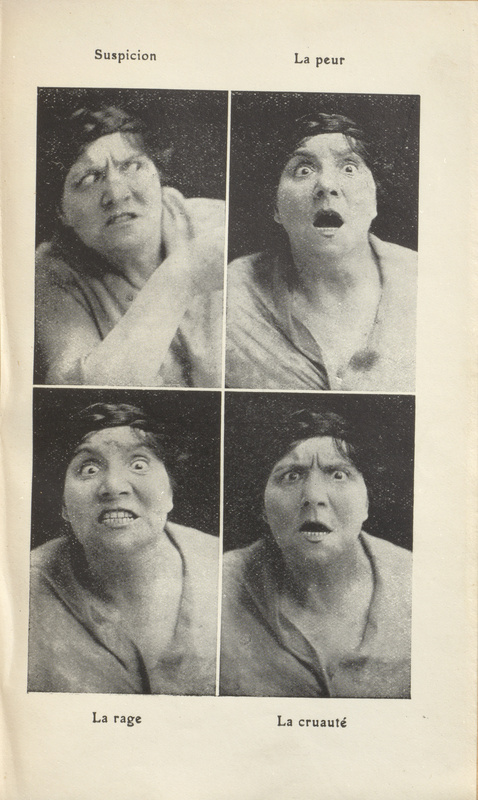 We can retrace this demonstration of emotional expressions back to Charles Le Brun. 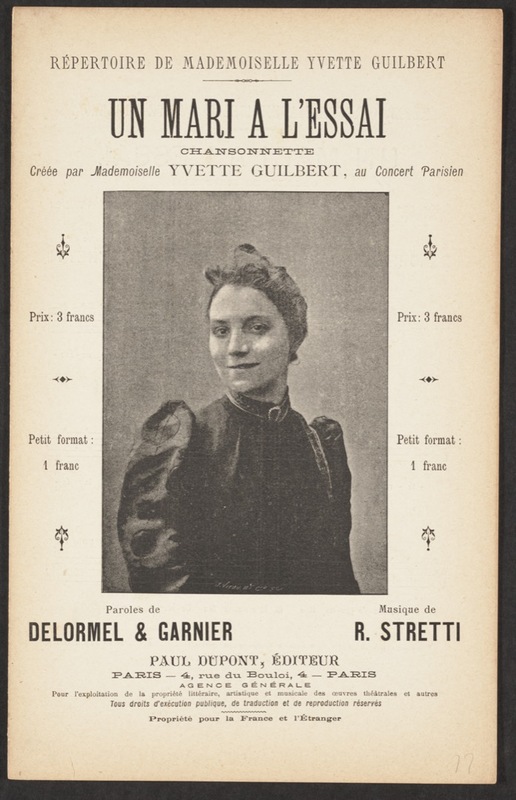 Guilbert, Yvette, 1865-1944. L’art de chanter une chanson / Yvette Guilbert. Paris : B. Grasset, 1928. A later example of the small café-concert music score, this piece replaces the illustration on the cover page with a photograph of the artist. 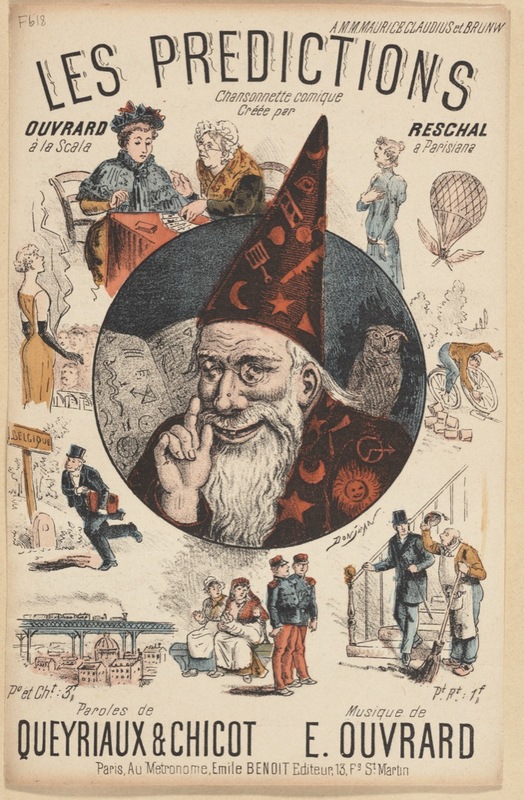 Cover illustration: smiling sorcerer with an owl on his shoulder surrounded by images of some of the predictions mentioned in the texts. Ouvrard, Eloi, 1855-1938 composer. 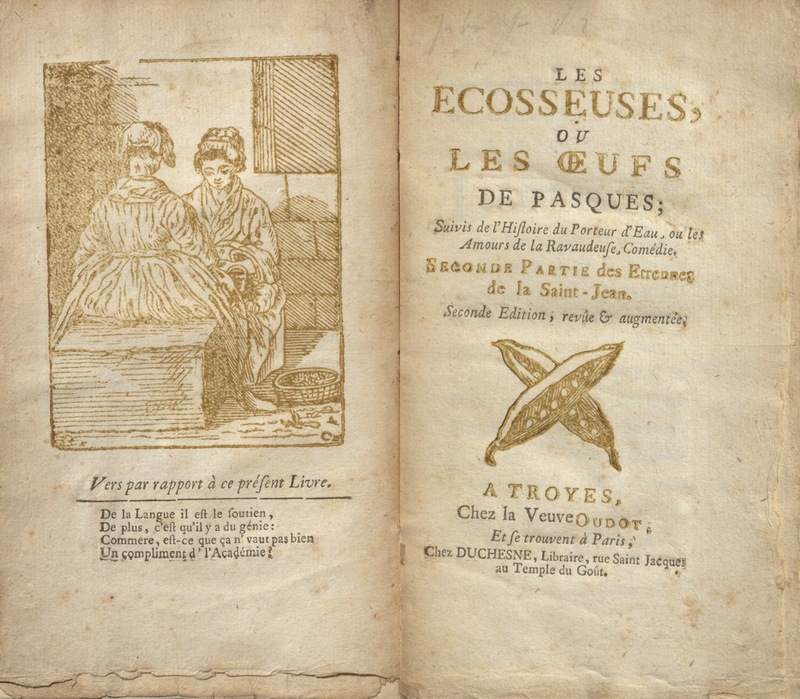 Les prédictions : chansonnette comique / paroles de Queyriaux et Chicot, musique de E. Ouvrard. Recueil de ces messieurs. Amsterdam [i.e. 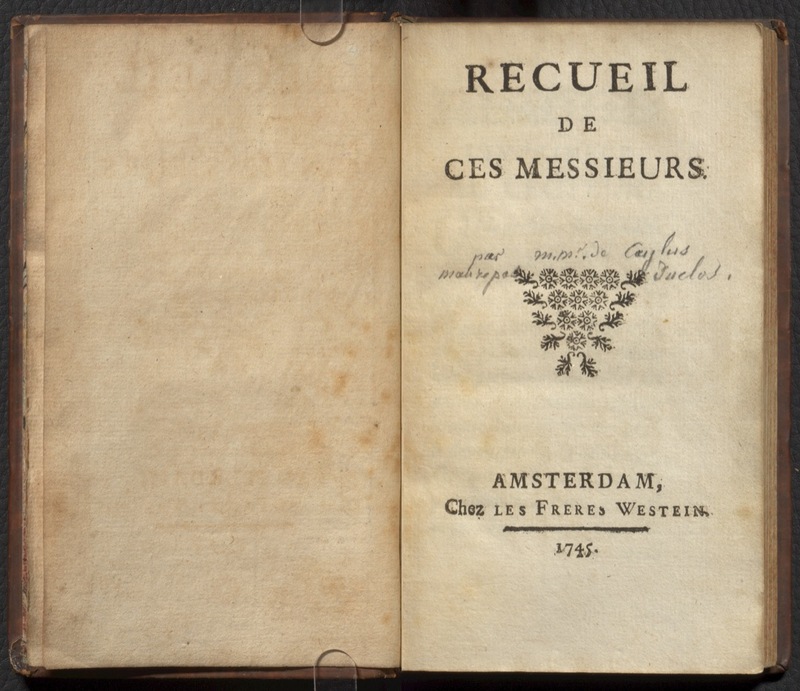 Paris] : Chez les frères Westein, 1745. 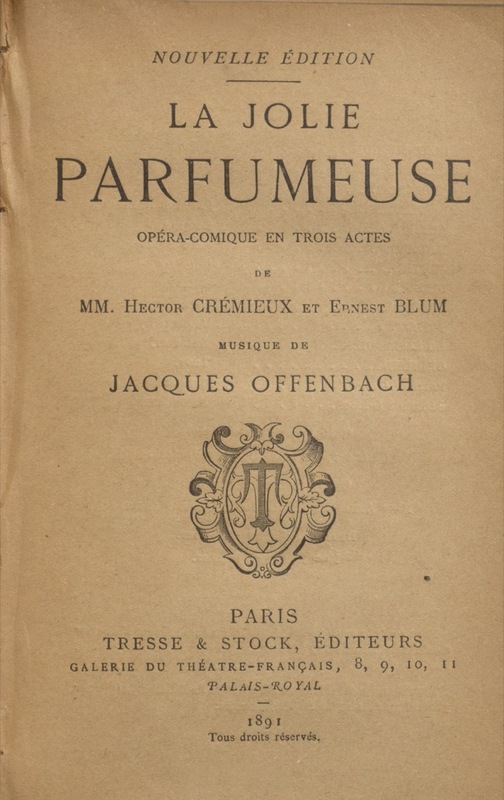 Title page from vol. 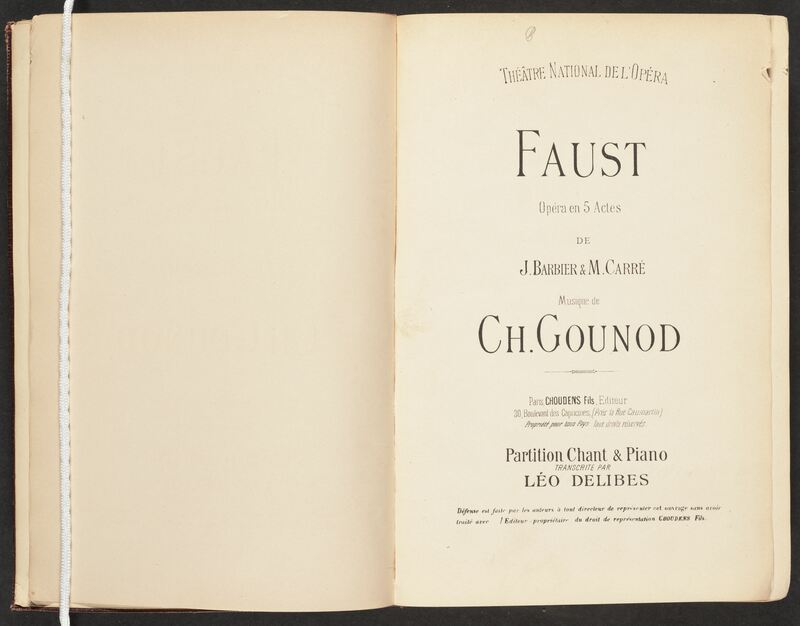 17 of a collected work on French theatre. Dumas, Alexandre, 1802-1870. Monte-Cristo : drame en cinq actes et six tableaux / de MM. 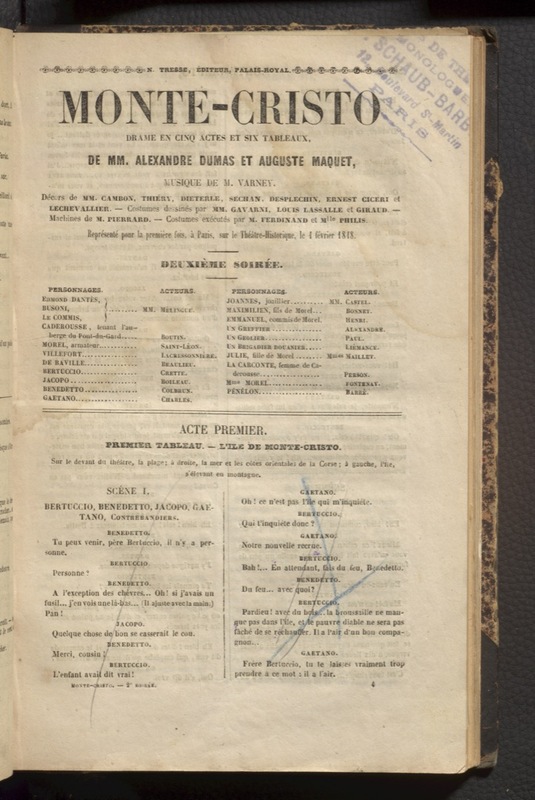 Alexandre Dumas et Auguste Maquet ; musique de M Varney … [Paris] : N. Tresse, éditeur, Palais-Royal, [1848?] (Paris : Impr. de Boulé). This entry was posted in Colgate Collection, Marvin Duchow Music - Rare Books, Rare Books and Special Collections, Rosalynde Stearn Puppet Collection and tagged Digital Exhibition by Sarah Severson. Bookmark the permalink.